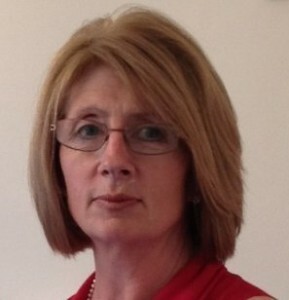 Regional Director at Advanced Boardroom Excellence, Susan has been coaching for over 10 years. Specialising in supporting individuals and groups through the career transition process, using a person-centred thinking approach, to seek a balance between what ‘is important to and for’ a person and tools which allows the coachee to think deeply about their skills and gifts and identify those which might be useful. Throughout her career Susan has been actively involved in large scale redundancy projects, working with the local HR Management teams to provide a seamless service including 1:1 coaching sessions, workshops, seminars and assisting with research. She provides these services to a number of corporate clients across various sectors including finance, utilities, telecoms, retail, not-for profit and the NHS. Susan has worked with Advanced Boardroom Excellence and its heritage companies for over fourteen years. A Chartered Member of the Chartered Institute of Personnel and Development (MCIPD) with a Certificate in Counselling Skills, a qualified psychometrician and have recently completed a programme in Executive Coaching and Mentoring with the Edinburgh Coaching Academy and am now working to gain accreditation with the ILM (level 7). Involvement with KidsOut includes deputising for the Chairman of the Charity at the Toy Box Ball committee, being a member of various Question of Sport committees UK wide on an annual basis.